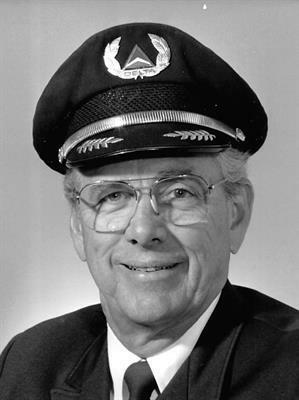 I wish to thank John Maynard for sharing the sad news of the passing of Howard Everett Pennock, 85, a retired Delta Airlines Pilot. Howard left on his final flight September 29, 2017. (Captain Pennock joined Northeast on 01/17/1966 and retired from Delta when he reached 60 on 09/01/1992). Howie was born in Concord, NH on August 30, 1932, to Howard and Elizabeth (Davis) Pennock. His family moved to Manchester when he was a young boy. He graduated from Central High School in 1950 and proudly served his Country in the US Air Force from 1950 to 1952. Following his discharge, he was employed as a flight engineer with the Air Force Reserves. It was at the Manchester Airport, then known as Grenier Field, that Howie met the love of his life, Judie, and they were married on October 10, 1959. Together they enjoyed raising two daughters. He was a dedicated and loving husband, father and grandfather, affectionately known as "Bop". After many years of hard work and determination, Howie earned his Commercial pilot's license. He began his commercial flying career in 1966 with Northeast Airlines. Northeast merged with Delta in 1971. Howie's travels with the Delta family and his own family took him all over the world. He had many homes, but his heart always resided at "camp" on Lake Winnipesaukee. He also loved the beautiful island of Bermuda where he and Judie enjoyed a cottage for many years. Howie was a man of many talents. He could fix almost anything and never traveled without his tool bag. He also challenged himself with 1,000 and 2,000 piece puzzles. Flying was his passion, but he also enjoyed boating. His boat went in the water at "ice-out" and sometimes stayed in until ice was forming. As a volunteer, he enjoyed riding the high seas with the US Coast Guard Auxiliary in Boca Raton, Florida. He loved to ski with his family and friends and played golf and tennis until his health prevented it. Howie's children include two daughters, Lynn Cullity and her husband Brian, Beth Duhaime and her husband Marcel; his grandchildren, Meredith and Jonathan Cullity, Sawyer Duhaime. He was predeceased by his sister, Elizabeth Hickey. Calling hours at Lambert Funeral Home & Crematory, 1799 Elm St, corner of North St, will be Sunday from 2 to 4 pm, followed immediately by a memorial service in the funeral home chapel. In lieu of flowers, donations may be made in his memory to the Aviation Museum of New Hampshire, 27 Navigator Road, Londonderry, NH 03053 or to the Kevin McHugh Scholarship Fund, Care of Trinity High School, 581 Bridge St, Manchester, NH 03104. To send an online message of condolence or to view his video tribute, please go to www.lambertfuneralhome.com.